Multiplex are working together with City of Westminster Council and Central London Forward. Understanding the benefits to local and Small Medium Enterprise. Multiplex has been appointed as the main contractor for the construction of Northacre’s landmark transformation of 10 Broadway in Westminster. The mixed-used development will provide 268 residential units within six buildings, including three levels of basement. 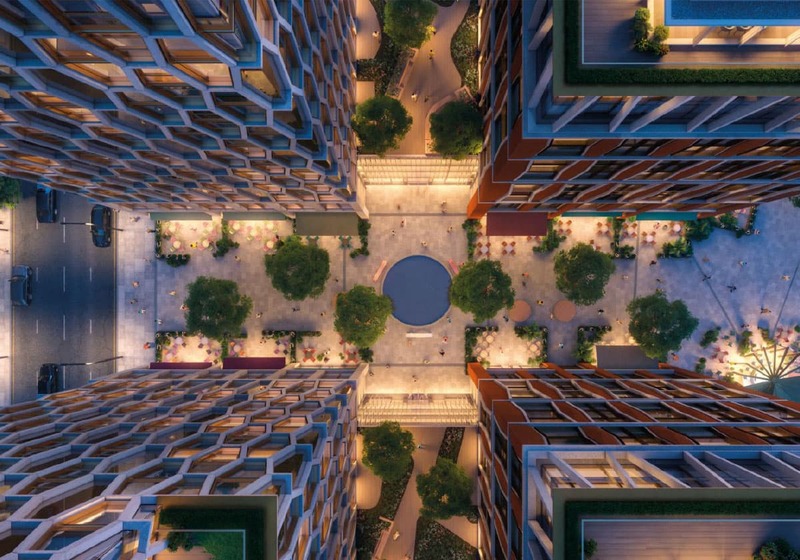 The development of The Broadway is an exciting opportunity to create a contemporary Westminster destination providing residential, office and retail uses with a generous new public space linking Victoria Street with Broadway and Dacre Street to the north. The Broadway creates six buildings on a plan designed to frame views of the Grade I listed 55 Broadway from Victoria Street. Elevations are composed with a distinctive vertical expression, referencing the local vernacular in the rhythm of facades and the use of materials sympathetic to the sandstone and brick of the historic Conservation Area. As a whole, the development expresses a transition between historic development to the north and the more contemporary architecture along Victoria Street, whilst providing exemplary accommodation for local residents and businesses.